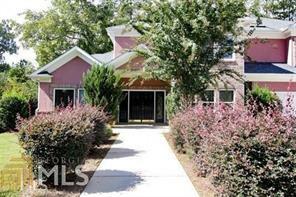 Atlanta GA Three Car Garage Homes for Sale. Are you a car enthusiast and like to take good are of your cars? Well you are not alone. 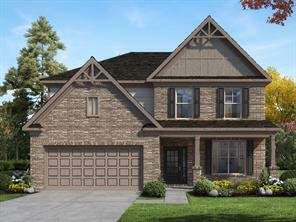 That is why we have a lot of great luxury homes in the Atlanta area with three car garages. We have whatever you are looking for! Some Atlanta homes have side load garages, rear load garages, oversized garage doors for RV's, some garages are heated and cooled, and others J – shaped and others may have a circular drive. Whatever type of garage you are looking for in Atlanta GA we have! 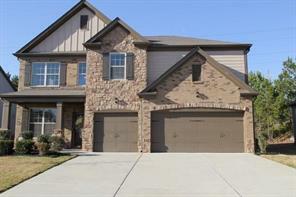 Search the MLS listings and find Atlanta GA homes for sale with three car garages. Life is short so protect your cars from the elements! Three car garages are a good way to protect the investment you've made in your cars and autos. Now you won't have to leave one car out in the sun, rain and pollen all day! Enjoy the extra garage space for lawnmowers, yard tools, work bench and yard equipment! 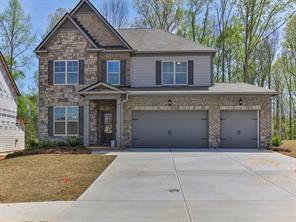 Start your search for Atlanta GA homes for sale today with a three car garage or more! 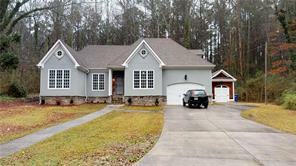 For more information about buying or selling a Atlanta GA home with a three car garage – please contact us! We are full-time professional real estate agents and Realtors that work in Atlanta GA, Buckhead and all of North Atlanta. 1) 4119 Waits Avenue Sw, Atlanta, GA 30331, Fulton Co.
2) 4119 Waits Ave, Atlanta, GA 30331, Fulton Co.
3) 4462 Muhammad Drive, Atlanta, GA 30349, Fulton Co.
4) 4462 Muhammad Dr, Atlanta, GA 30349, Fulton Co.
5) 230 Tracewind Pl, Atlanta, GA 30349, Fulton Co.
6) 6300 Jasper Way, Atlanta, GA 30331, Fulton Co.
7) 6300 Jasper Way, Atlanta, GA 30331, Fulton Co.
8) 2688 Bluestone Dr, Atlanta, GA 30331-9504, Fulton Co.
9) 2688 Bluestone Drive Sw, Atlanta, GA 30331, Fulton Co.
10) 2888 Bluestone Drive Sw, Atlanta, GA 30331, Fulton Co.